Testamentary Trusts: Are they Right for You? If you have significant property to leave to your heirs but want to control how that property is distributed after you die, a testamentary trust may be what you need. A testamentary trust is a type of trust you can create through provisions in your will. Attorney Michelle Lanchester can help you create a testamentary trust and give you control over how your assets are distributed. Appointing a trustee. A testamentary trust gives you flexibility in appointing your trustee; you can select any competent adult whom you trust to carry out your wishes. Less taxation. Your beneficiaries may have a lower tax burden on the property they receive from a testamentary trust than certain other types of trusts. Protection from creditors. The money and property you place in a testamentary trust becomes the property of the trust, which will protect the property from your estate’s creditors after you die. Providing for beneficiaries. A testamentary trust helps you control how your property is distributed to your beneficiaries, which is helpful if beneficiaries are minor children or incapacitated adults who cannot make financial decisions. A testamentary trust allows you to care for your beneficiaries without appointing a guardian or conservator. 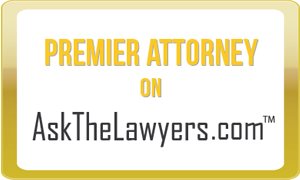 Probate court involvement. A testamentary trust requires that the testator’s will go through the probate process. Potential lack of privacy. Most trusts are created to be and remain private documents. However, the testamentary trust is drafted as provisions in your last will and testament. If your will is published, the terms of the trust will also be published. Therefore, once the will is published, the testamentary trust no longer enjoys the privilege of remaining private. Setting up a trust requires you to establish the trust in your will and appoint a trustee and beneficiaries. The best way to create a testamentary trust is to speak with an experienced estate planning attorney, who can discuss the pros and cons of testamentary trusts in more detail and advise you of tax consequences and alternatives. If you are considering a testamentary trust, contact our estate planning attorney. Attorney Lanchester has decades of experience helping individuals and families plan for their financial futures. Call today for a consultation.